Growth is one of those necessary aspects of life that requires you to become comfortable with being uncomfortable. I’m a creature of habit. I like things a certain way. When there’s an unexpected change in my life, I get anxious. Growth is the feeling of anxiety. Years ago, I wasn’t this open to growth. I ignored the lessons that were being taught to me & continued to make the same mistakes over and over. I was afraid to change because I didn’t know what would happen. My fear of the unknown was crippling and I was tired of repeatedly hitting the wall. I had to get uncomfortable and allow growth to do its thing. There were several people that I had to let go of in order to become better. I won’t lie, it hurt like hell, but in hindsight, it had to be done. Growth is an uncomfortable, but necessary part of adulthood. You can run away from it like I did, or you can embrace it and prosper. 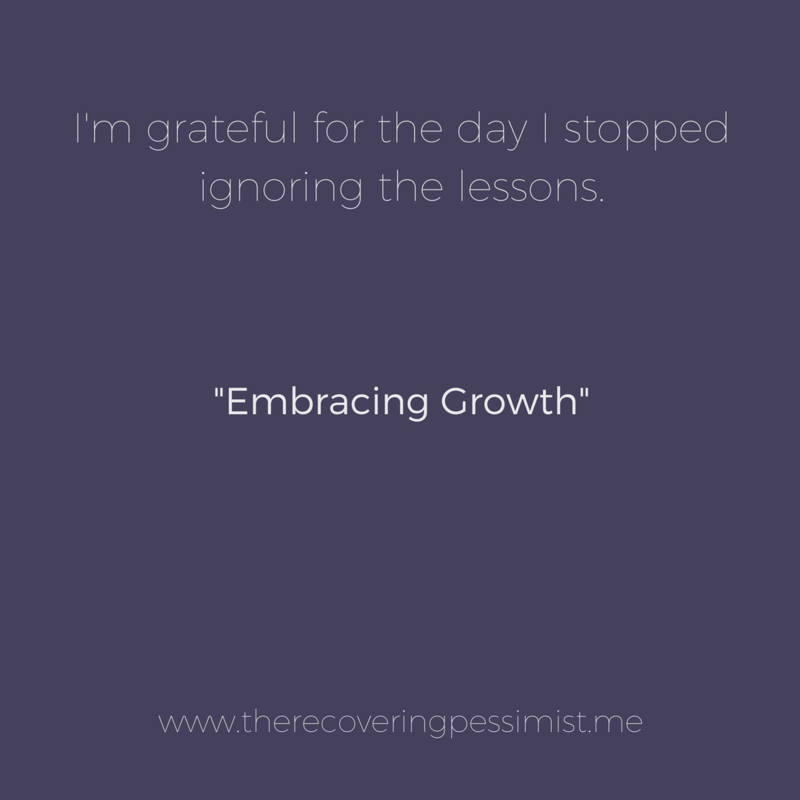 I’m grateful for the day I stopped ignoring the lessons. I made progress on a lot of my goals and ideas this year. I also had a few setbacks, which allowed me to determine if the goal or idea is worth reassessing or if I should scrap it altogether. I also doubted myself, wondering if I was doing the right thing. I would’ve quit, however, quitting won’t get me where I want to be. I refused to give up. With my goals in mind, I restrategized and carried on. I’m thankful for the process of growth that I’ve experienced this year. The progress, the setbacks, and the doubts were all learning experiences that helped me better myself and sharpen my focus. Growth is learning from your progress, setbacks, and doubts. I love talking about intuition (click here and here for earlier posts). 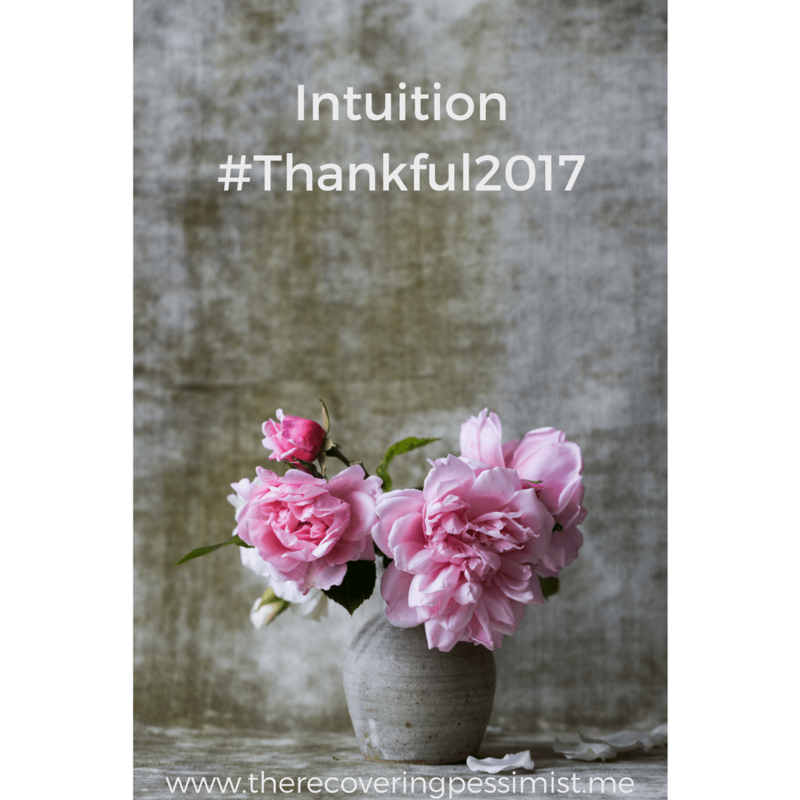 This year, intuition helped me avoid some potentially sticky situations. I had opportunities that appeared to be awesome on the outside. My support system would give me the green light of approval, but I couldn’t knock the feeling that something wasn’t right. Intuition reminded me to trust my decision-making. That feeling keeps nagging at me for a reason. Clearly, it’s trying to tell me something, right? You can ignore your intuition, or you can take heed. Choose wisely. A successful support system is about quality, not quantity. I had a small support system of 5-6 people initially. When I reached out those 5-6 people, only 2-3 would always show up. What was the point of having those extra people if I can’t depend on them? After trimming the fat, my support system now consists of 2-3 people. When I was too stubborn to listen to their thoughts and opinions, they could’ve let me drown in my stubbornness. Instead, they waited patiently for me to get my shi*t together. They cheered for me when I couldn’t cheer for myself. Most importantly, they genuinely care about my well-being. My appreciation for these people runs deeper than words can express. I’m thankful for all that they’ve done and continue to do for me. The Universe went out of her way to throw some curveballs my way this year. When I decided that I wanted to “Stay Ready” this year, I’m convinced that Universe not only heard me, but she was testing me. One: I could wave the white flag of defeat and wallow in my failure. Two: I can figure out how I can check off the goal AND how I can handle the unexpected expense without it negatively affecting me. I ain’t gonna lie (yes, you read that right), it’s way easier for me to wave the white flag of defeat than it is to carry on. But because I promised myself that I was going to make this goal happen, I’m hellbent on seeing it through. Here’s where persistence comes in. Persistence is a skill that I didn’t always appreciate. Why? Because it required me to keep going, even when I would rather throw my hands up and quit. But, when I want something, I want something. I do research, create a master plan, and even a few “just in case” contingency plans. I refuse to allow anyone and anything, including myself, to get in the way of what I want in life. November is a significant month for many reasons. It’s the kickoff of the holiday season. It’s the countdown to the end of the year. It’s also a time to do some reflection. It’s necessary for me to reflect on the good, the bad, and the meh of the current year before I begin planning for the following year. This month, I’m doing a four-part series called #Thankful2017 to reflect on the things that got me through 2017.